We have just been alerted to a potential scam involving a renowned and respected tipster known as JPW Racing Tipster. It appears someone has been copycatting JPW and trying to pass themselves off as him. Apparently hundreds of people have been caught in this scam, so we thought we would draw your attention to it so that hopefully you are not caught out as well. “As you most of you aware we have a FAKE JPW doing the rounds who is offering ludicrous offers to lure people in using the name JPW. This guy has been at it since 2012 so I am about to take you through a timeline to try and spread awareness. This all started just before Christmas and I have been inundated with emails from people asking where the tips were as they signed up to my special offer. This set the alarms bells ringing as at the time I had no offer and I couldn’t believe my eyes when I found out someone was impersonating myself by opening up a website at www.jpwracing.co.uk which is the FAKE website. I have been running my website for 8 years and I am the most genuine and honest guy around. I am a proper Family Man with a wife and 14 month year old Daughter. What was supposed to be lovely Christmas was spoiled by a proper Con Artist as I spent nearly all the period answering emails and trying to get to the bottom of this fraudster who was conning a lot of my customers. At the end of the day I feel it is my duty to protect each and everyone of you as well as my company and I am providing you with all the information you need to know below. 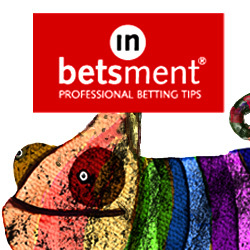 I have worked hard to get my business where it is today and I am one of the most respected tipsters in the industry. I don’t always get it right but I work damn hard with studying and keep track of all my results and the good days over the 8 years far more than outweigh the bad days. If I do get it wrong I am the first to to admit it as we are only human and it is this honesty which goes down well with my full time members who respect ultimately I make a profit long term. I try to bring something to the table for everyone and a lot is for free which include a Saturday Free Tip and Podcast for everyone to listen to in their own time. Over Christmas my results were below par and I believe this was down to the FAKE who increased my work load and maybe took my eye off things. Anyway my eyes are firmly back in place. The police have been informed and legal action has been taken. I know exactly who the person is behind it and I am about to show you everything which I have found so we can share this around and get rid of this fraudster once and for all. He has been conning people for close to 5 years and it is time to take him out and I will not stop until he is in jail and he has lost everything. We are all human decent living people but I am afraid SCUMBAGS like this do exist. I have had this logged with the Action Fraud And Cyber Crime who will investigate the matter but from my end they can only investigate ID Fraud. If you have been a victim of this guy it’s IMPORTANT that you log with Action Fraud by ringing 0300 123 2040 or by visiting www.actionfraud.police.uk (This would be the quickest way). You will find below just how dangerous this Liam Brown is so by logging this with the fraud team will speed up the process and more IMPORTANTLY protect others from being scammed. The more reports they have the quick the Fraud team will act in arresting Liam Brown. So in essence it appears we have a case of someone trying to freeload on the success of someone else, which is not cool, not cool at all. Well done to the original JPW for standing up on this and fighting it. It is time more people did this and rid the internet of con artists. If you have been a victim of this situation, then please help James out by contacting Action Fraud using the info above.